A set of connectors to extend the Raspberry Pi camera cable with a standard HDMI cable. I hope you will enjoy my designs made to help your electronic development. This is a kit to use a standard HDMI cable between the Raspberry Pi and its camera. The biggest advantages are obviously the range increase, the possibility to use widely available cables, and to use a round and sturdy HDMI cable instead of a flat ribbon. Note that this is just an extension between the camera and the Raspberry Pi. 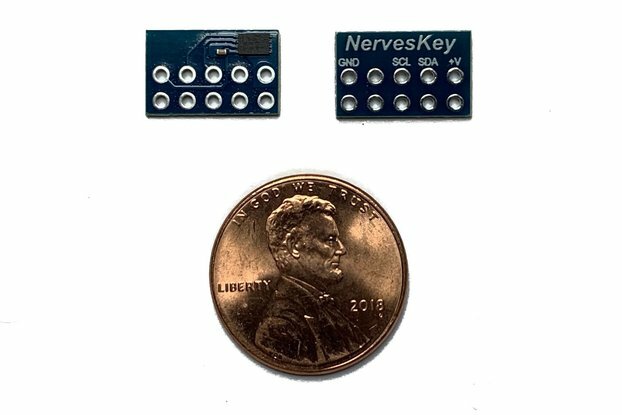 Four additional pins are available, this may become handy to use a few sensors with low current requirement along with your camera. 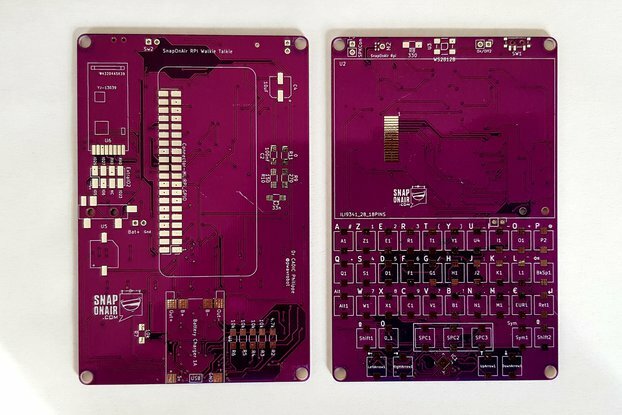 The parts in the kit are shown in the third picture, every board is tested before shipping. This system works with all Raspberry Pi models. I am using the Pi camera outside the house and close to machinery so I needed a longer and stronger cable with solid connections. Searching the web I did not find anything usable for my application. However a thread on the Raspberry Pi forum gave me the idea to try using an HDMI cable for extension. By comparing the diagram of the Pi Camera connector and HDMI connector one can see that both have four data buses made by pairs of cables with a ground shield. My only work was to put the right cable at the right place! I have tested successfully simple 5 meter HDMI cables, cheap or expensive cables worked the same. The video signal should not show any degradation until a certain distance (yet to be found).Passed the limit the video signal will be lost entirely. I have not tested HDMI boosters or HDMI conversion to CAT6, please report if you do. 1 - Assemble the 60mm flat cable between the camera and board, watch carefully the picture for the side of the cable; the connections face away on the extension board and toward the camera. 2 - Lock the connectors in place, here it helps to have long nails. This is mandatory for a good connection. 3 - Place the boards back to back, the flat ribbon should form the shape of an "S". 4 - First with your fingers and maybe tweezers set a screw and spacer loosely. Set another on the opposite side and tighten a bit. Then place the two remaining screws, tighten everything with a small screw driver and a 4mm wrench or a pair of pliers. Et voila you are done! If after plugging the camera with this kit the Pi does not detect it, you may have bought an HDMI cable without data shield. Please read my blog post that explains an easy fix. I made a case for 3D printing (not sold with the kit). The files can be downloaded on Thingiverse. Please post modifications you made. I offer priority Air Mail; for most countries the package should arrive in a week. Lately the customs of a few countries decided to check most mail from France; it looks like they have a huge backlog, so if you are not lucky your package could take a month to arrive! Even if air mail does not have a tracking number from my experience it is very reliable, the tracking option gives a bit more security if you wish. Please note that I cannot be held responsible in case of package loss or wrong addressing if you choose to use the Air mail option. Quick delivery of a good product for a good price. Allows easy connection of the Pi HDMI camera to the Pi 3. Comparing to the same Extension from another manufacturer it's less compatible with HDMI cables. I've tested it with 5 different cables from 1 to 8m and this product didn't work with 3 of them, while another manufacturer's extension didn'd work only with 1 cable. I've tested 2 sets from Petit Studio And also 2 sets from another manufacturer. Shipping fas very fast, but CSI ribbon cable had strong prints propably from sharp parts of the extension - so it should be secured better. Great boards for deploying camera in awkward places. Fast shipment. Arrived in slightly more than a week across atlantic ocean. I tried it with picam v2.1 using a 2mt hdmi cable and it works without a glitch. shipment is very fast arrived in 10 days. Great product, package and delivery. Works as advertised. Extending the Picam cord via HDMI cable is genius. Thank you. Brilliant little hack. I can't wait to see what I can shove down the 4 extra lines too! There are so many different ways to make use of this! Works great with the Pi LCD Touchscreen! I have a set connected to the display connector and an official Pi LCD Touchscreen with a 2M HDMI cable and it works well. Display quality and touch response are unchanged. I used one of the unused pins to route 5V to the display so I don't even need a remote power supply for it. A couple of days transport from France to Denmark. Product work exactly as promised. Just ordered 12 more. Super nice product with a good finish. Hadn't time to test everything, but for now I'm happy with it. Thanks very much, really helped me out with my car rear view camera. It only worked with HDMI Highspeed with Ethernet, other HDMI Cables did not work. Tested with both a v1 and v2 camera, same results. Worked fine with a short cable and a 3m cable. and there's no apparant difference between the two 5m cables. for the single wires. Didn't measure the impedances, so dunno if there's a difference there. working, but there's no video signal, which raspivid complains about after a timeout. The bad cable probably dampens the clock and/or data lines too much, but works fine when used on HDMI. joints, as the shield pins (HDMI pins 2,5,8,11) aren't connected. Product was as described, work as it should. Seems solid. Thanks for the extra screws for mounting the card on the camera itself! I've been using a PiCam for a while. Mostly to take video from a microlight aircraft. The one annoyance with the PiCam is the stupid ribbon cable. If you want to use the camera anywhere away from the Pi case, the ribbon cable can be a pain. This simple solution is brilliant. The only complaint is that the documentation for the orientation of the adaptor could be clearer. Took a bit of working out to get it all connected correctly. Very good quality and packaging. Shipment was very fast. Easy to assemble. I have tried 8 meter HDMI cable without any problem. I would recommend this seller. The camera extension kit arrived quickly and was well packed. There were no instructions included but these are published on the website so there was not a problem. The kit was very easy to assemble; fortunately, my camera was supplied with a fairly long lead attached to it so it was possible to use this lead on the RPi end. The one supplied with the kit would have been too short. However, apart from that, all worked well and the build quality is good. I would recommend this kit without hesitation. Using this with my raspberry pi 3. Works great! This is my second purchase and I would highly recommend it. I was able to connect the raspberry Pi3's I2C's SDA and SCL lines to a BME280 pressure, humidity, and temperature sensor. 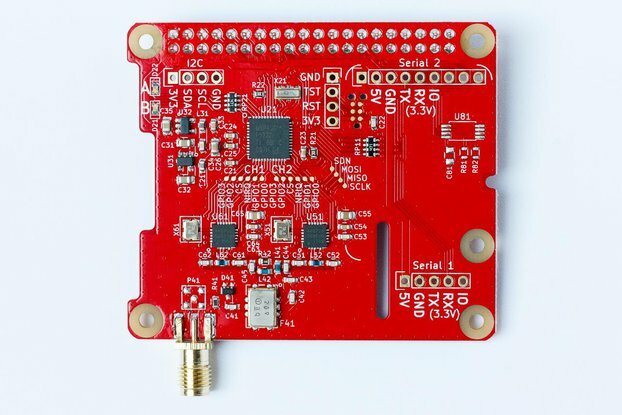 The 3.3V and GND on the board powered the BME280. Hooked it all up to a 15 Foot HDMI cable and I not only get the picture I also get the use of the THP sensor. The extension did the job. The packaging was good and all the parts assembled easily. Good quality and size will buy again. Very nice product good quality, works like a charm. Needed this for monitoring my 3d printer, this way there was no need to build it myself. The product is as described, it is well made and simple to use. It comes as a kit with the various screws, spacers and ribbon cables, all of which fit perfectly. Very fast shipping from France to Canada. I use this product as a hobby at home. There are many projects where the camera is installed remotely - so this is ideally suited therefor. I have use this solution to mount the camera more than 8m away on a moving truck and used a 10m long High Frequency Type 1.4 HDMI with Internet cable - off the shelf from local MAKRO store. There are no interferences whatsoever, the picture is crystal clear. With a clever trick to overcome a 3.3V supply voltage drop over longer distances, it may be used with even longer cables. Highly recommended. This an excellent replacement for a long ribbon. I will be using this in a telescope autoguider application using a raspberry pi and the nior camera. A ribbon cable would be unacceptable for the application. Github-Gordon 999 has what appears to be an excellent software package. This is a work in progress and has not been used in the application but only bench tested at this time. The only item which each application requires a special solution is the raspberry pi end as it is dependent upon the pi packaging. The pi end should be firmly mounted to keep the connections from pulling out. The camera end housing end is a modification of Thingiverse housing and a 1 1/4 eyepiece adapter modifcation. It helps if you have access to a 3D printer. I had a standard 2m ribbon cable originally and was seeing random corruption in the video stream. Routing the flat cable in anything other than a straight line was also a pain. This is a perfect solution for these issues, after switching to a 2m HDMI cable no more video issues and cable routing is much simpler. Everything was well made, works a treat! Perfect idea to separate the pi camera from the raspberry pi board. Received the product within one week (Switzerland). Works good out of the box. Tested successfully with a 10m HDMI cable. One small remark: sharp edges of the washers' holes could be broken. Personally, I used a drill bit of diameter 2mm to break these edges. The product is worth the price and I would buy it again. Brilliant idea, and works great! I'm using this with a 15 meter HDMI cable in my Greenhouse. Works with the fish eyed lens camera as well, though I made my own hosing for the camera because it's bigger then the "normal" camera. Hi! Thanks! :D This is so useful, I was getting worried about the little original ribbon of the picamera, it's a mess to try to try to put it far away from the raspberry, cause you can't, and to put a larger ribbon takes out too much quality, so I thank you for having a better idea of it, this is for my thesis, so it's so helpful anything that simplify the job. A long time to deliver (over a month) and hard to track from the US (France's postal system), but overall a good experience. I've purchased several of these and they are of high quality and serve the purpose well. I have been using them successfully with 10m (35ft) HDMI cables, and only had issues with one of the cables. That problem was the cable itself, as when I exchanged the cable the camera and boards worked fine. Note that you'll want a thick passive HDMI cable (i.e. large wire gauge with shielding) to do that length. Recommended, and I'll purchase them again. This was exactly what I was looking for and it works fine with a 15 ft. HDMI cable. There are really no negatives. Version 2 of the hardware has two adjacent contacts between ground and shield for an easy soldier bridge if you need it. The only challenge is how to secure the Pi-side board. I ended-up using the standard camera ribbon cable (a little longer) and some double-sided tape to the pi case. Prompt shipping, works as advertised. I'm working on stereo vision for a robotics platform. Using HDMI cables rather than the flat ribbon cables was much more manageable. If I need more I'll be back. This helped a lot extending my rapsicam with IR. The only disadvantage I had was a crappy hdmi cable (for People who want to use it with ir lamps: use cable with less om resistance than 2.2, cable with 4.2 didn't even discover the camera). Good one ! This make an excellent alternative to the impractical long ribbon cable. I'm using the extension for a enclosed CNC and a 3D printer. Being able to use standard HDMI cable make cable management much more easier. As noted by other, some cheap non-shielded HDMI cable don't work. But that the only issue with this adapter. Works great with 10m HMDI cable. The connector itself feels and looks well assembled. Sadly the same setup doesn't with my 5m HDMI cable, apparantly not all cables are compatible for this setup (cable works fine with other devices). But please don't be an imbecile like myself and not look at the pictures and try to connect one side of the HDMI in to the extender and the other side in to the HDMI port of the Pi (what was I thinking!?). Once I had all the parts CORRECTLY fitted, it worked perfectly! Great product / adapter. Very easy to assemble and then plug in. So far have tried a 5 and a 10 meter standard hdmi cable, both worked. Havnt noticed any reduction in picture quality even over the 10m cable, going to try out 15m in the next few weeks, very happy with the results, has allowed me to install a pi camera in an odd location yet keep the pi itself inside safe and dry. I'm using this to extend the range of the pi camera for a photo booth project. The HDMIs I had already didn't seem to work with this but I got myself an Amazon basics 15ft cable and it works a dream. The picture quality is just the same as if the camera was connected directly. I haven't used the extra pins yet. It is worth having a good read of the instructions to ensure you get the cable the right way round too. I am in the process of installing the raspi camv2 into my car as rearview camera and the pi camera HDMI Cable Extension is ideal for that. The product is absolutely great, the shipping was ok, the post wasn't able to provide a working tracking system. Dokumentation is simple and good to follow (on the website). And the communication is very good. I did some testing already and I am very happy with the great result. Great product; I'm another delighted customer. As others have said, some cables seem better suited than others. A 4.5m Amazon Basics cable worked well for me. Great accessory for extending the range of the Raspberry Pi Camera module. Well made and works as advertised. Perfect, just what is needed. I hated working with that 10ft ribbon cable. Storing it was a nightmare. Interference every time I touched it. I had to take apart my pi's case to disconnect the camera. All of that grief is elliminated with this HDMI connector. It works exactly as described. I would recommend this to all. I use a 15ft thin form factor hdmi cable. It's shielded so I have no more interference. And it looks great! This is a really good quality product and professional in every regard. I tested with an Amazon Basics cable and it worked perfectly. I will probably be using the extra pins to turn an IR filter on and off on a future project. I look forward to testing a few other slimmer profile cables to see if they are properly shielded and can work with this. But both still worked after drying out. ( Power supply wasn't so lucky). Will use the spare wires for a 1-wire temp sensor. Sure wish you'd sell the little camera box too. Works perfekt for my DoorPi Project. It's a great Idea to perform an extension of the CSI interface! Does exactly what you want when receiving the product: convert the weak and noise-sensative ribbon to a schielded HDMI cable for the picamera with everything in the package. The nifty design makes it possible to sterdily mount the modules on a surface or in a case. In my case, the module can handle 11g's when applied in my graduation project. This is a great product, it does exactly what I wanted - provides HDMI connectors on the Raspberry Pi and the Pi Camera allowing an HDMI cable to be used to connect the two. Both connectors are supplied as well as short flat ribbon cables and mounting hardware. Strongly recommend this if you are going to use a PI camera somewhere remote from the Raspberry Pi. Using this for the camera on the front of my Raspberry Pi robot. The extra pins I have used for ultrasonic sensors with no extra wires to run ! Nice product and super fast shipping. Ordered on Dec 2 and arrived on 7. Came with all the mounting parts I needed. Thank you. I used it to extend the Raspberry Pi 7 inch touch display from the mainboard. It works perfectly.. The HDMI extender is a genius little product especially when you print out the camera case (I used shapeways and it was about $14AUD delivered). Shipping was excellent, assembly was good if you follow the directions. My cable is about 1 meter and it works perfectly with my raspberry pi. I use the "spy" camera with no issues at all. Worked first time and very easy to assemble. Thank you. Do you offer discounts for multiples when ordered together? Received the product in few days, perfectly by postal mail. We are completely satisfied with the seller and the product arrived in good conditions. Great little board that does exactly what it says it does. Great little board, has 4 extra channels that can be used to carry GPIO signals or whatever else you'd want to. The board and solders are very cleanly crafted. Keep in mind that the RPi Camera is not hot-pluggable. So do not treat the cable like a true HDMI cable or you will not be able to connect to the camera, or in the worst case, you might damage it. The cable will need to be connected at boot to function properly. The shipment took some time but the waiting was worth it. Very clever product, even included all necessary components (like flat cables) to fully connect and use it. I've tryed to connect with a 12,5 HDMI cable but doesn't works. The product works fine with a 1,5 HDMI cable. Whole package came inside a bubble lined envelope, and the two circuit boards were packed inside a zipbag. The small mounting equipment and the two ribbon cables were also placed inside a zipbag, which is a good thing because the tiny nuts and bolts are easily lost otherwise. No documentation was included with the package. However, the instruction found in the product page are well described. One thing of importance is the fact that the exposed part of the ribbon cable should face away from the circuit board, which is the opposite of the Camera module itself where the exposed part of the ribbon cable faces towards the circuit board. This is told in the instructions as well, although a closeup picture would be a nice addition to the instructions. It is picky about which HDMI cable it will use. After you find a working cable it does exactly what I wanted. I'm using a Raspberry Pi Zero and NoIR camera on my telescope. The official camera cable is too short and too delicate to mount it anywhere. This extension lets me mount it farther away on the body and looks much cleaner and stronger. I received the order in less than two weeks from France to the US which is quite fast in my opinion. This product is nothing short of awesome! Being able to use an HDMI cable in lieu of a image degrading ribbon cable on my Pi cameras is so nice especially if you want to extend the cable more than 12 inches. Configuration was a snap, very clean mount and just an overall great product. Will order more when the need arises! # Serious, folks, not even a finger-press on a button of a camera ??? The shipping without tracking should not be addmited at all nowadays. I am sorry there is no other option for shipping as I would have paid a little more just to make sure. I have ordered the extender one month ago, from Romania. 18$ loss. sorry to hear this. You can always request Tindie support for a complete refund of your order, so "No Tracking" is not only a risk for you but myself also. I choose this shipping method because it is safe in 99% of the cases and very cheap for everyone at 3$ worldwide. Ease to assemble due to clear description and images. Works as expected. Just plugged in a 5m HDMI and camera works as usual. It works perfectly with the Pi camera. It also works with the originals Rasperry Pi 7 "touchscreen. Very useful for my application, and was easy to install. I had to change the hdmi cable i initially tried it with. The second cable worked immediately. I imagine that the first cable had no ground, as described on the website. This is a fantastic product. I am using it to extend a camera on a robotic arm and feeding the pictures back to a Raspberry Pi. Couldn't have done this without it! I am using this product to take periodic pictures from my bicycle using a Pi Zero and GPS to assemble them back into a movie. The circuit boards work well with thicker, premium cables but with cheap, thin, Chinese cables not so well. There is a fix on the creator's website, which does make the cheap cables work, but it's a bit difficult to solder to the circuit board's GND connection without lifting the trace. It would be nice if they had drilled and plated through the GND connection on the circuit board to make the job easier. I bought two sets of these boards, did the mod on both sets. One set works, the other doesn't. If I look at the soldering job I did, I would have thought the one set that does not work looks like it's done better. Great device, needs better shipping options. This device is exactly what I was looking for and has made my Pi camera immensely more useful to me. Very easy to implement for anyone comfortable with installing the camera in the first place. Exceedingly pleased with the product. Freto shipped it the same day that I ordered it. Unless I missed it, however, the _only_ shipping option was tracking-less shipping via La Poste. While I appreciate that it only cost $4 to ship this from France to California, I would have been happy to pay more for something that took less than 3.5 weeks to get here (after he shipped it), or at the very least be able to look up the status of the package. Freto, you have a wonderful product, please let us pay for for speed & tracking if we're willing. ... shipping was few days bit late and it was difficult to get in touch for asking when can I get it. Otherwise I'm very VERY happy with this thing. Definitely going to get more of them! As I was searching for a possibility to build a door camera I found this extension board. The price is fair, so I gave it a try. Only a few days after the purchase a letter from France found its way to me. Packaging was ok and the boards seemed to be well. I was surprised that there where also screws, washers and so on in the package. Everything complete to mount the pi cam to the board. Excellent! A few minutes later I connected a 2 meter HDMI cable to test the setup. What else to say: it worked like a charm. Many thanks for realizing that idea of an extension. Much more robust than any solution with longer flatband cables from the original connection. I am sure that there will follow some orders for more of the extensions from me. A great product at a great price. Exactly what I was looking for! It was delivered on-time. It took me about 10 minutes to setup and install. It works perfectly. I highly recommend this product. The documentation could be a little better; perhaps showing some better installation pictures. There are only pictures showing the connection of one of the extension boards to the camera. There is no documentation showing the connection of the other extension board to the raspberry pi module. I didn't receive the product yet. Please pass the shipping details. So that I can trace where the product is. Nothing more to write and need to fill upto 100 characters. I use the Pi Camera HDMI Cable Extension in an industrial environment. The HDMI-cable is installed near a frequency coverter. There are no interferences in the video material. Works fine with an 3 m cable. Great product! I'm using the Pi camera for a vehicle instrumentation project. Running a 2 meter ribbon cable up the B-pillar and through the headliner is a NON-STARTER. This adapter allowed me to run hardy HDMI cables through the tough stuff and then have Pi pieces on either end. All the screws, nuts, spacers, and cable are provided for "easy" connection. Tiny fingers and patience in screwing everything together are valuable assets for this job. Compatible with both normal and No IR Pi cameras. I'm using the latter with an added IR illuminator that screws right to the Pi camera board. The enclosure listed on the Tindie site would not, unfortunately, work with the IR add-on. If such an enclosure had been available, my work would have been done. Instead, I had to fabricate a custom enclosure. I may have to push into that space for the next project. Customer service and shipping could not have been better. Although these were coming from France, I was able to get them in about a week, including clearing customs. Functionally, I've had no problems with these in my application, which uses a 15' HDMI cable. While trying to build a robot based on the new Raspberry PI Zero v1.3, I was facing the problem of how to extend the camera cable in a durable fashion. The plan is to build a PTZ assembly, which will put some stress on the cabling. While looking around the Internet for solutions, I found the HDMI Cable Extension. For me it works just perfect with the PI Zero, the PINoir camera module v2, and a ultra slim, flexible HDMI cable. The mounting holes perfectly fit the ones on the camera module and I can't see any difficulties in image or video quality. However, not every HDMI cable seems to work, so I had to experiment a bit with different cables to get it up and running. All in all a great product and a major improvement over the whimsy camera cables provided for the PI. The abroad delivery went wrong address without tracking at first time. The seller was nice to talk with and resent a trackable one. Each package comes with necessary chip, cable and screws. Slim my pi project perfectly. To use the Raspberry Pi Camera in a distance to the Raspberry Pi itself, this HDMI-extension works perfectly well. A distance of about 8 meter has no visible effect on the quality, so you have much more possibilities to place your camera. The adapter is as small as the camera itself and fits perfectly to it. Unfortunally there is no description within the delivery, so you have to find your information on the traders homepage. All in all it is worth to recommend this product without any concerns. I wanted the camera to enhance a project to control valves on a swimming pool,( which is away from home), according to the temperature of the pool and solar pods. The temperatures are taken every 5 minutes and determine if water is to be circulated through the solar pods. The results are e-mailed back to me. I thought a photo of the garden added to the e-mail would also be an advantage. This means a camera situated away from the raspberrypi. The main difficulty was finding a housing for the camera. I found a cheap (£10) waterproof security camera which could have the guts swaped for the pi camera, so these HDMI extensions were just the job. The camera and e-mail work so it will soon be installed in the pool house. I now only need to find a way to mount the pi end in the case. I was wondering if a mini or micro HDMI sockets would help to make the pi end smaller and thus easier to install in the pi. Just a thought. When I installed the exterder at first it did not work with my 3 meter (cheap) hdmi cable i had planned for my setup. I then tried my 1.8 meter cable i use for my tv which thankfully did work. I bought a new 3 meter cable (again a cheap one) and sadly again no signal. I then decided just to move my Pi within 1.8 meter and use the 3 meter cable for my tv. Perhaps it can work with longer ranges if you use a higher quality cable. Overall very pleased with the product. Experienced some corruption on the images but this may well be down to the quality of the HDMI cables I purchased (from a different source). I had 1.0, 1.5, 2 and 5 metre cables the one that is most successful is the 1.5 metre. I did have to ground the connector shells (with a solder blob across the two pads on the pcb). I intend to try hdmi cables from a difference source to see if that makes any difference. But as I said I am pleased with the product and would not hesitate to buy more if the need arises. I've searched for a solution like this and found this shop in a forum. The adapters are working as expected. Delivery time took 7 days. That's really ok. Does exactly as it needs to. For whatever reason I thought this was only a single board, but it does its job so this is not a complaint. I only wish I could track the package as it was sent to me. The HDMI extension worked perfectly and came with ribbon cables, screws and plastic standoffs. It took me about two minutes to remove the Raspberry PI camera and insert the extension using a 20 foot HDMI cable. I am very pleased. These things worked great to replace the long ribbon cable on my OctoPrint 3D Printer Server. With the constantly moving build plate, the HDMI cables allow much cleaner movement. These are great, I will be ordering again for other projects. Plus shipping from France to US was quite fast. Worked first go with a 3 metre HDMI cable, I have 3rd party cameras so I had to run the flat cable a different way, the instructions gave me enough information to connect them correctly. Great product, look forward to buying more Petit Studio creations. I've tested it with a 5 meter long HDMI cable and it works perfectly - no problem at all. It's an awesome product! I try back with original way the camera is plugged in and it works fine. Also, I found that the cable is a bit loose when plug in the board (it keeps going out and I have to use hand to hold it). I haven't had chance to try back (probably a few days later) but I guess it's the HDMI cable (correct me if I'm wrong). It is a great product to make a SOHO CCTV. I used Raspberry PI B+ and 4 meter HDMI cable, works good. Works great!! ... but there are caveats!! Genius idea, so congrats to Petit Studio, this has saved me many headaches! If you are thinking of ordering some for an urgent project, allow a couple of weeks for delivery into your timescale. Something this cool, you always want it instantly to put it through its paces, so two weeks sitting on your hands can feel like a long time. Please beware that this product does NOT work with the Waveshare (http://www.waveshare.com/rpi-camera-f.htm) Rpi camera with the adjustable lense for macro photography - which has given me a minor headache to overcome. I have a few of these Waveshare cameras testing each of them gave the same result - they get red hot just after bootup and do not register on the system. Unfortunately, finding a solution to this issue was beyond my level of expertise, so I'm not much help to others with the same problem! The standard Rpi camera works perfectly with this product, no extra noise, no unwanted heating. I received a Waveshare camera model I, after restarting the PI it works without problem. Try to shutdown and unplug the PI, set the camera and HDMI connectors and start the PI, it should work like the standard camera. Thanks for your comment and introducing the Waveshare camera, I will order one and try to check what can be the problem. In addition to the standard camera, I tried only tThe Adafruit Spy camera (https://www.adafruit.com/products/1937) and it works. The set works great, allowing flexibility in camera placement and leaving the raspberry box including the attached cables nicely hidden out of sight. Toimii, mutta pitää olla laadukas hdmi piuha. Halvoilla hdmi piuhoilla ei toimi. Itselläni toimi DELTACON ohuella HDMI-kaapelilla. This adapter is great! I used it with the third party NoIR camera sold by SainSmart. The mounting holes line up, however because the connector is on the front of the camera board I had to mount the camera upside-down in order to get the ribbon cable to be connected correctly. It still works well though, just requires some software changes to flip or rotate the image. The four extra pins and exposed 3.3 and GND are going to be very useful to add some additional devices at the camera as well. Took about a week to arrive once posted, which I can't fault as it came from France, I found it really easy to set up, though the size of the bolts and spacers coupled with the springy-ness of the ribbon cable could make it fiddly. Works brilliantly. I am using this CCA for a octopi setup. Wanted to keep the raspi closer to my ATX power supply and the stock ribbon cable only comes in 30 cm max. This worked with a 6ft HDMI cord with no problems. The adapters was easy to assemble and work as expected. I can see no decline in camera quality caused by the longer cable (1.5m in my test). With the flexible and longer cable between Pi an camera it's much easier to align the camera. And with two of the adapters it's possible to change between 'normal' and NoIR camera when the Pi is running. The sender was in France, but the package was shipped from Japan. So the shipment take a little bit longer than expected. The package indeed was from Japan, thats explaines such a long trip. Thanks to seler for such valueble product! >>>23 days passed, perhaps to much for sending a package within Europe. No tracking number provided. No options to check if it was really sent. good product, prompt delivery , good online description . It would be even better if a miniature HDMI connection could be made to work. Also, attention should be directed towards making a similar interface connector for the Adafruit spycamera . The extension worked as planned. Was easy to assemble. Only thing I had to do was to solder the GND to the HDMI-cable shield, but this was prepared for on the board so it was very easy once I realized I had to do it. Brilliant bit of kit. Works straight away and very easy to assemble. Well worth the money and really quick delivery. The camera adapter works great after a bit of tweaking. First it didn't work at all with any of the HDMI cables I tried, which was noted in the description that this may happen with cheaper HDMI cables without the proper ground wires. The seller says you can create a ground by putting a strand of solder from one spot on the board to one of the pins on the adapter (see his blog post link at the end of the assembly instructions). The photo he has of this fix is out of date however as he has redesigned the circuit board to have a specific ground connection spot where all you have to do is solder a tiny blob to join a purposely broken connection (looks like 2 small rectangles in the corner of the board). After I soldered that connection on both circuit boards the camera would work perfectly with any HDMI cable. Since the test was done, now it was time to assemble it all together with the provided spacers and screws. I found this to be extremely annoying because you're trying to hold a camera, circuit board, ribbon cable, screws, spacers, washers, and nuts all at the same time while trying to tighten the screws. I must have dropped each piece of hardware at least 3 times each. You need 3 pairs of hands to hold everything together because the ribbon cable acts as a spring forcing the camera and adapter apart which is why everything keeps moving around. My partial solution for this was to measure the spacers and rebuild them in 3D to be connected to each other with tabs so that it was a single piece rather than 4 little pieces. After I printed that out, I also printed out the sellers thingiverse model of the case. It was only after trying to assemble everything that I realized that the supplied screws are not going to work with the case because they're too short. It was going to be next to impossible to find those same type of tiny screws in a longer length here in town, so I ended up rebuilding the case in 3D and modified it so that the screws could just barely work. Last modification I did was to add a ring lip to the front of the case around the camera lens so that I could attach a small magnetic wide angle lens to the case. This gives a better view of the print bed while keeping the camera close to the printer. Long story short, some longer screws and linking the 4 spacers into a single part would be nice. Product does what was promised and works well. Good work done in packaging & fast delivery. Thanks! Great product. My only criticism might be that the supplied ribbon cables were too short for my application, but maybe I should have checked that before I bought!! I tried to make my own flexible RPi camera cable. It worked but there was a lot of interference and the video quality wasn't too good. ... it didn't cross my mind to use a HDMI cable.. Then I found this and immediately ordered 2 sets (just in case). Arrived to Singapore in 9 days. Works like a charm!!!! Works just fine with my thicker hdmi cable, doesn't work at all with cables that have redmere (in retrospect, duh), and with the posted fix for cheaper slim cables it worked, but variably; the latter is likely due to shoddy cables as I bought three of the same make and two ended up not working even with the ground fix (I bought multiple converters too, so I was able to pin it down to the cables). This product arrived from France to the UK in about 2 weeks. First impressions are that the product is very well made, obviously a lot of thought and care have gone into the design. I'm very electronically 'challenged' so couldn't begin to describe how it works but the description given by the Petit Studio is simple enough for even me to know I've bought the right product for my needs. The camera didn't give a feed from the first HDMI cable I tried ( I think this may have been supplied with my PS3), but swapping it for the cable from my Sky+ HD box worked a treat. I'm now going to purchase a thinner or flatter HDMI cable to provide a more streamlined or lighter setup. All in all, delighted with my purchase and would consider buying another product from Petit Studio. Overall impression: the device works just as I'd hoped that it would. Extended review: Shipping took quite a while. I received a 'package shipped' notification from tindie but no updates, tracking information, etc. I had nearly given up on the package arriving, then it finally came in. Assembly was super simple as per the pictures in the ad. I even 3D-printed the enclosure that Freto/Petit Studio linked through Thingiverse for a more polished finished product. The last physical alteration to integrate the product was to hard-mount the pi-side board on my pi enclosure. As for HDMI cable, I went for an Amazon basics HDMI with ethernet and audio cable. When I plugged everything in and powered it up, the camera was recognized as usual. No fuss. I'm happy with the product, now that I have it. I recently purchased the HDMI adapter kit and am having problems getting it to work. I've tried several HDMI cables with and without the outer shield grounded (one cable had High Speed HDMI Cable with Ethernet stamped on it) and none of them worked (the camera device wasn't detected). I verified that the camera is still operational by connecting the supplied short ribbon cable from the camera to the Raspberry Pi. At this point I'm looking for suggestions to troubleshoot the problem. Would someone please verify that I've connected the HDMI ribbon cables correctly (see attached photo)? Hard to see on your small picture but it looks fine so it should work if you closed well the lid of the connectors. If you cannot make it work you can send me the kit back and I will check it and/or replace it. I install the product on a Raspeberry Pi model B using a Pi Camera Noir (v 1.3) and an Amazon Basic HDMI cable (1m long). The components and the video quality are very good. Still did not receive the item! Shipment takes way too long; 4 weeks and counting! No tracking nr... if I ever will receive the item! Shipping is standard Air Mail so it should take 5 to 7 days (10 if bad luck) worldwide; however I have had a few complaints from people in Germany not receiving their kit in a reasonable time (2 months happened) . I don't know what the German post is doing compare to other European country but there is nothing I can do expect stopping to sell in Germany. I bought the HDMI extension so I could play around with stop motion animation with my Raspberry Pi. I had to solder extra wire to the case as the cable I have isn't well grounded and I had trouble working out which way the ribbon goes into the slots. A detailed webpage with images would have helped a lot. This is GREAT, i used the 5 cables i found lying around that came with cheap DVD players and android boxes, none of them worked so i thought there was a problem with the kit (I tried the grounding thing, did not work either), then i went and got a sixth cable (2M SAMSUNG Mobile phone HDMI cable), and it worked perfect, so before you tell this man that it did not work, try a good cable, there is nothing he can do about the bad cables on the market, unless he can start selling HDMI cables himself, but would you want to pay to ship that from Japan ? For people complaining about the lack of instructions ! seriously, the thing is simpler than ANY LEGO game designed for a 6 year old, put the cable that fits in the right hole, and if you are finding that too complicated, take a look at the photo he posted, what more instructions do you need ? I found angle adapters for $1 in an electronics store to give it that 90 degrees cable connector, I also hot glued that to the board, and ot glued both the board and the 90 degree adapter to the case, so that i can simply plug and unplug from the $1 adapter, this way, if i pluck it out the wrong way, i will break the thing that is not essential, and i don't need to wait for 5 days for a new adapter from Japan. All in all, I love this product, I will buy it with every camera board i get from this point on, i tried 1 meeter ribbon adapters, 1 meeter round adapters, Nothing is as simple and reliable as this solution, more power to you man. No documentation though pretty self explanatory, a quick check on the web found the documents. It'll definitely help with future projects, if i can find some longer screws then it can be used with this product that i already have the camera mounted in. at the moment the ribbon is loose. A brilliant idea, speedy delivery. The extension worked fine for a time, then it suddenly stopped working for no apparent reason. The error message appeared to suggest that the cause was the camera module; however revisiting the problem today the camera module was working fine, when I connected the extension the error message stated that the camera module couldn't be found. This with both a long and short HDMI cables. I am keen to get this working so that I can attach the camera to my telescope for some astrophotography. Sorry to see that you are having problems. - An open solder joint. Solder joint may break if submitted to vibration or oxidation if used outside without waterproofing for example. - The wear of FFC cables. FFC cables are rated for 40 insertions by the maker, in my experience they can do a lot more. - A broken lock on the FFC connector. These are rather fragile and can break if pushed strongly when opened, I broke a few myself. In addition the connector must be completely closed for the connector to function. - HDMI cable not inserted strongly enough to be “clipped” in its connector. - Other devices connected to the Raspberry Pi using the electricity previously available for the camera. It seems that the longer the cable the more electricity is needed. I have yet to quantify this, but you can try to use a two amperes plug. Anyway, you can send me back your kit with the FFC flat cables, and I will try to find and repair the problem or exchange it. Please contact me directly (using the “Contact Me” button on the right side of the page) , to have my address. Neat idea efficiently processed and shipped. No instructions although fairly obvious. Works fine and would buy again. A bundle with camera and cable would be good. Great product and perfect support! I order two sets and they arrive really fast within two weeks her in Austria (Europe) . But then none of them are working because I used HDMI cables which are not working with this adapters, but the support was perfect, the response in time and I also get an second delivery to be sure that the adapters are working within one week! After I bought an other HDMI cable the adapters work now perfectly and I am happy with this product and supplier! It does what it is supposed to do and does it well. Best solution I have seen for extending Pi camera range. I'm currently using a slim 6 ft HDMI cable and it works great! Thanks for the feedback. I would also like to make a board with 90 degrees connector, it would be more natural for the camera I think. I searched the Internet and did not find such HDMI connector. To hold the board at 90 degrees from the camera I use two small supports like shelf braces with the vis from the kit. Well I bought two of these with good delivery time. No documentation was included just and envelope with bubble bag inside (Not even purchase receipt). I Went to the web site and used product images to figure out the assembly configuration. Even though the configuration is fairly simple, it is not necessarily intuitive and some users would benefit from good quality instructions especially with ribbon cable orientation and cautions. Even a web link in the packaging would be enough. With regards to assembly, working with small screws, nuts and spacers was a little problematic. Custom plastic fasteners with bayonet end clips and integrated spacer to hold camera to cable module would be better in my opinion. A water proof camera case for the HDMI camera cable end assembled module would be a nice addition even with additional cost. The Raspberry Pi computer connection end does not show a way to hold the module so it does not put strain on the ribbon connection. Instructions should show best way to do this with and without a case. I have used a stand off on one of the RPI mounting holes without a case and drilled a hole in case with small standoff with case. Not sure what other users are doing. I tried one meter HDMI cables and these all worked well in all cases. The five meter HDMI cables had some problems recognizing the camera but removing a hat assembly and some power consuming USB components allowed the cable to work OK and see the camera. This I believe may be caused by lowered power causing the camera not to be detected. I use good quality power supplies and these were 2.2 amp element 14 adapters per link below. I am still trying to find a good HDMI cable that is small in diameter rather than the larger diameter cables. Some are very large and clunky. I would like to see a setup that uses a mini plug hdmi cable. Thank you for the detailed review. I understand your feeling for the documentation but I felt that the images online are sufficient to figure out the assembly and I like to avoid wasting paper. The images are just an example of many possible configurations. For the Pi side I use the original longer camera cable and fix the board on top of the Ethernet plug or to an enclosure with 3M thick double sided tape. The case I designed and propose on Thingiverse is not waterproof but can be customized if you wish. You can print it yourself or have it printed by for example using http://www.3dhubs.com to find a printer near you. Although there was a delay in shipping (out of stock from high demand no doubt), when it did ship it arrived very quickly. This product works exactly as advertised and an outstanding value. I'm amazed at the price and the VERY reasonable shipping charges especially given it comes from Japan to the US. Most US companies would have charged $15 alone for shipping within the US. Great job Petit Studio! This is exactly the product I wanted to complete my IP camera based on a Raspberry Pi. Now I can separate the camera from the Raspberry Pi board by quite a distance using a cheap HDMI cable and it works exactly as described. I've tested only with a 1.5 metre HDMI cable so far but will be trying longer cables soon. The addition of the 3v3 and a, b, c, d solder points was genius too as I'm considering adding a PIR sensor and using the Pi Camera HDMI Cable Extension board to send the 5V, ground and data for the PIR. Great product, rapid delivery (Japan to UK in 5 days!). Thank you! Fantastic product, great value, shipped promptly. 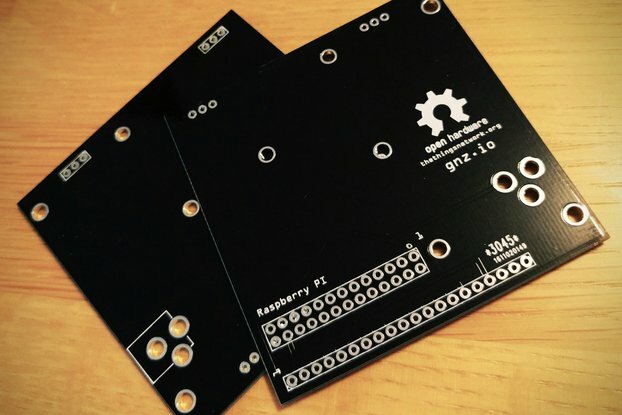 I ordered this item as soon as I saw it on the Raspberry Pi Foundation blog. The prices both for the kit and the shipping from Japan are excellent and it arrived in a few working days. I didn't assemble it until my 3D printer arrived but the first thing I printed was the camera case. I have now assembled it and it just works! I am using a €2, 2m cable from a Eurostore with no problem. This is a fantastic product and everyone with a Pi camera could do with one. Thank you for the review, I'm glad you like the kit. For the cable that did not work, did you try the easy fix I describe on my blog? Most of the thinner or cheaper cables don't have proper grounding. an essential piece of kit! Raspberry pi now have been checking out the board and Les Pounder now has one .. Does what it say's on the tin! This was just what I had been looking for, I'm using a 5mtr HDMI lead lead and everything's working just fine. It's one of those products where you think "neat, why didn't I think of that" . Very happy with the product and would recommend to colleagues. This is one of the best ideas I have seen in the Pi and Pi-camera connections. The original flat cable is sturdy and short and not easy to hide: with this set you can use any normal HDMI cable. I bought a 4mm thick cable (50 cm long) and it works great. (see picture). The camera housing I have made of a piece of plastic cable conduit and the combination is now in use as a dashcam and works great. The next project is to also incorporate a PIR sensor. Than a surveillance camera set is born to be used in my mobilhome. The Pi Camera HDMI Cable Extension set is already prepared for that: it has a couple of spare connections that can be used for that purpose. By the end of the night I had at least 6 plus people asking where to purchase and Ideas to use this cable. Its an easy kit to extend the use of the camera on a Raspberry Pi , One of the Writers for Linux Format is about to purchase one so maybe a full review in uk magazine very shortly. I would suggest that the raspberry pi end is attached to a case or the potential to "rip" the connection out by accident is possible . Documentation is lacking - I would advise people NOT to plug and unplug the camera whilst the pi is on as this might cause damage only plug unplug whilst pi is turned off. thank you very much for this review and the demo you made. I hope people are finding good use for this extension. For plugging and unplugging cameras, the constraints are exactly the same as with the standard ribbon cable. I have not been able to find any relevant documentation for this but your advice make sense to stay on the safe side. However I can comment from my experience, that to operate a Pi camera it must be pugged at boot time and should still be plugged for a clean shutdown. In between you can plug and unplug cameras without problem as long as they are not filming; this is what I do when I test every kit.